I wish you all the best in 2010!! 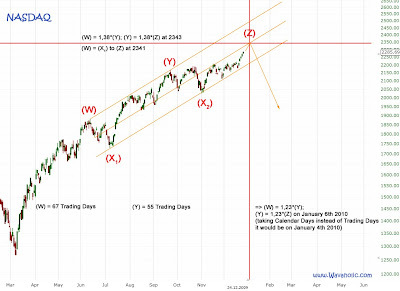 I don't think the market has already topped (it's possible though), mainly because there are three different fibonacci relationships which suggest a top around 2340. 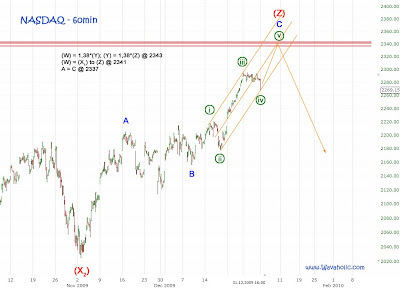 Also the Elliott Wave count allows for another high. As you can see I think that the end of year sell off finished wave [iv] and that wave [v] will unfold next week.